Julia Goulding secretly got married in front of her ‘Coronation Street’ co-stars. 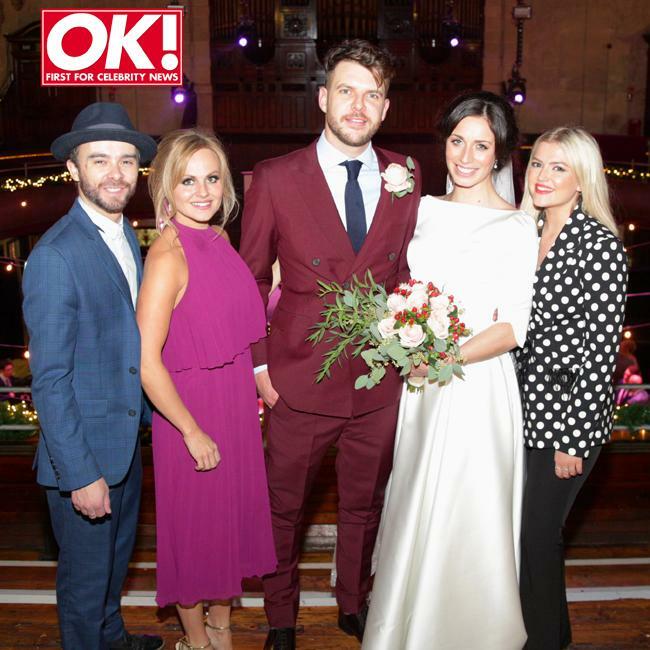 The 33-year-old soap star – who plays Shona Ramsey on the cobbles – tied the knot with her man Ben Silver at the Albert Hall in Manchester with her cast mates in attendance alongside the happy couple’s family and friends. Opening up about the ceremony, she told OK! Magazine: "Jack P Shepherd! He and Hanni [Treweek, Jack's girlfriend] love a good dance. "Tina [O'Brien], Nicola [Thorp] and Dan [Brocklebank] came on my hen do, so they knew some of my bridal party already. "At one point, Tina was trying to do a ‘Dirty Dancing’ lift with my friend Kylie and Lucy [Fallon, who plays Tina's on-screen daughter] was shouting: ‘Mum, no don’t!’ [Laughs]. It was carnage by the end. It was ace; everyone let their hair down!" Julia – who has kept her relationship private and only revealed their engagement in January, 10 months after he popped the question – was delighted to get married on stage at the Manchester venue, and the pair decided to shun tradition so they could walk down the aisle hand in hand. She added: "It was important for us to walk down the aisle together and my parents aren’t traditional. "My dad didn’t mind not giving me away as he believes I’m my own person. I can totally understand why people do it, but the way we did it felt right for Ben and I."